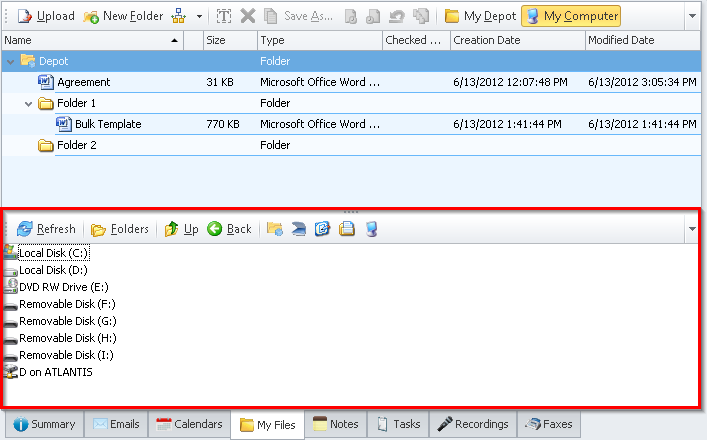 Click-and-drag any file from your computer and directly upload it to a Contact, Company, Category or Project. To view and navigate the files from your computer, click the 'My Computer' button. The My Computer panel will now be located in the bottom panel. 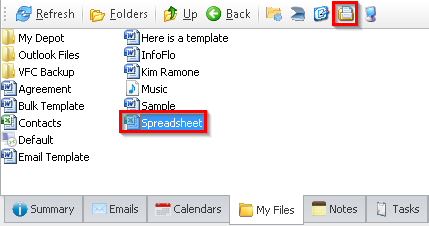 The My Computers toolbar includes a button to 'Refresh' the files, toggle between 'Folders' and list view, go 'Up' a folder, go 'Back' to the previous view, go to 'My Depot', go to 'My Desktop', go to 'My Documents' and go to 'My Computer'. 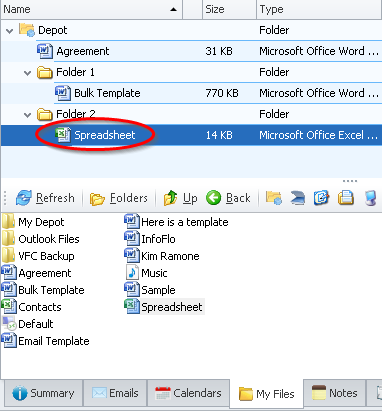 In this example, we will navigate to My Documents by clicking the 'My Documents' button and selecting "Spreadsheet". 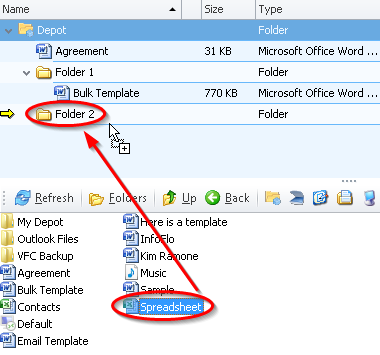 Drag and drop the selected file to the destination folder. Click 'Yes' to confirm the upload. 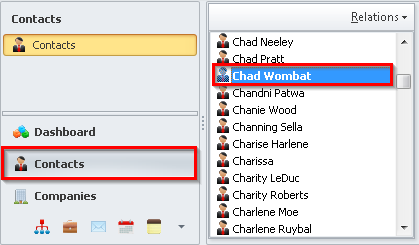 Your file has now been added to the contact’s 'My Files' tab.